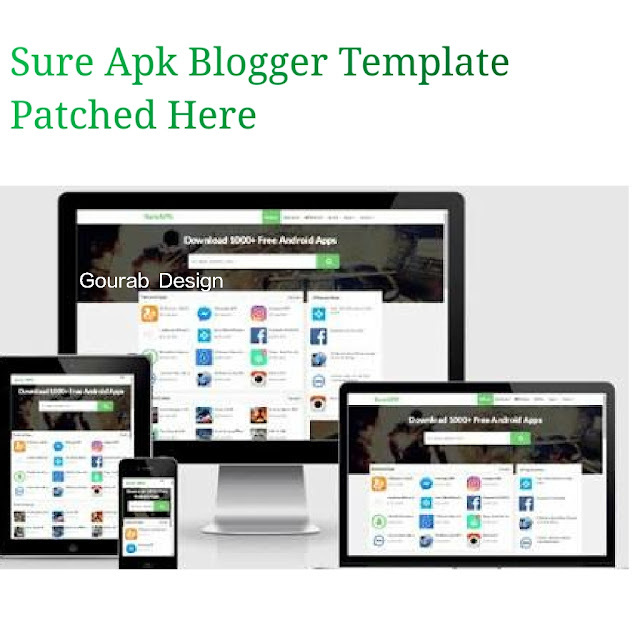 Of course, Sure APK is a responsive, creative and fast loading blogger template, friends, Gourab Design is another Android application that shares the with its style back. As you know, we always develop unique and creative theme. Our last app sharing model was Blue APK After this, we are now sharing another which is running the sharing apk application with a blogspot platform. Sure APK is a fast loading and SEO optimized that will make your user experience easier. In this we've added 4 home layout boxes. You can add 4 recent post boxes by specific label. Developed With Some Awesome Features This is a pure responsive design. On the homepage we added 4 home layout boxes. You can add 4 special label posts to the homepage. You know that most visitors come from mobile to that kind of blog. So using a responsive and mobile friendly has become very important. Sure apk is a pure and 100% responsive . It is compatible with all types of smartphone devices. See the mobile-friendly test report here. Sure APK is a 100% Search engine Optimized , which will help you get the fastest order on SERP. Using a search engine optimized is a very important fact.